HDL systems can be installed in practically any building environment regardless of age or design. We have product ranges that work seamlessly using various industry leading standards. With a large ultra-clear energy efficient LCD screen, customised messages, status icons, and percentage information can all be effectively displayed and seen by the user. The fascia colour, material and appearance can be customised allowing a user to tailor control panels to their exact specification for each room. 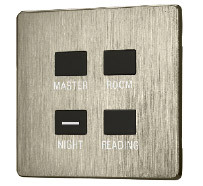 Each button is capable of controlling multiple home systems - These can include heating, alarms, audio visual, lighting scenes, curtains and a host of other functions. Our wall plate solutions enable control of almost any home automation device with a simple touch of a button. Unprecedented flexibility can also be achieved utilising our HDL wireless touch panels. Unparalleled design, unrivalled control, Ultimate convenience - Smooth outlines and a luxurious display, create the perfect blend of form and functionality. Take complete control over your home by managing energy consumption, HVAC, lighting, and security in a minimalist user friendly package. As eye catching as it is practical the multi touch capacitive display responds instantly, allowing every detail on the screen to be clearly seen. To ensure readability in low light environments, the screen also boasts a customisable backlight capable of automatic activation. When the energy efficient screen is not in use a sleep mode will activate, awakening only when a user approaches. You can reduce wall clutter by utilising a single HDL control panel instead of separate light switches and thermostats. 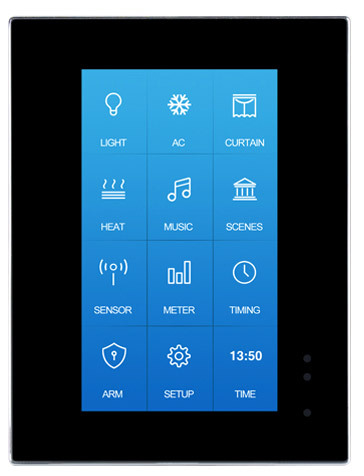 You can also control heating systems from your smartphone or tablet. With HDL, you no longer have to manually adjust your blinds or curtains to control natural lighting inside your home. HDL controlled curtains and blinds can be automated using timers or sensors, alternatively they can be set to open and close automatically with sunrise and sunset times throughout the year. We manufacture a range of both wired and wireless curtain tracks and blind motors, making it natively compatible with the other HDL devices on the system, saving the need to invest in additional control hardware. When several HDL wireless products are installed into a property, they form a wireless mesh network. This means that devices can communicate via intermediate devices, thus helping to eliminate communication between devices that would normally be too far away from one another. 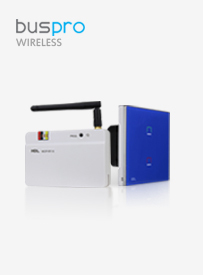 Wired networks can also be bridged together using two or more HDL Wireless Mesh Gateways. Wireless Power Interfaces - Designed to replace a standard UK light-switch or wall-dimmer, the HDL Wireless Power Interface provides smooth dimming to existing dimmable lighting loads. Available in 1 channel and 3 channel varieties, they can provide leading or trailing edge dimming, or a high-powered relay output for switched loads. There are two ranges available, requiring or not requiring a neutral wire, making retrofit possible where it was not before. 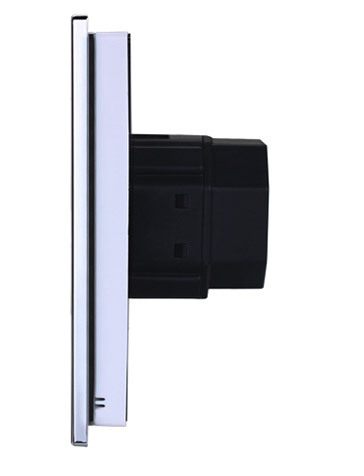 Sensors - The wireless ceiling sensor provides both PIR and Ultrasonic occupancy detection, as well as light level automation and even an onboard temperature sensor. With no need for a BUS cable, this sensor will provide additional energy-saving and security features to any wireless project. 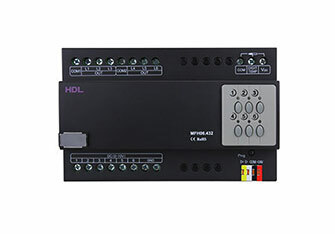 Modules - The Wireless Modules from HDL are small enough to fit inside deep back boxes, or other available spaces, and can provide trailing edge dimming or relay outputs. 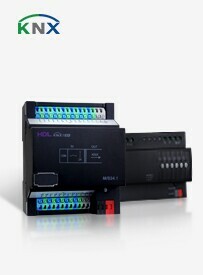 Use to maximise the flexibility of your installations. Available as a 1CH Trailing Edge dimmer, 1CH or 2CH relay, and a simple 4CH dry contact module (for simply controlling other devices), you will never run out of options.